The Avengers: Endgame fever is not going to leave any sooner and we are not even complaining. The fourth Avengers movie will also mark the end of an era, as many actors will conclude their journey with MCU. Reports were that Robert Downey Jr., Chris Evans, Mark Ruffalo, Chris Hemsworth, Scarlett Johansson and Jeremy Renner would bid goodbye to the Marvel movies after Endgame. However, we have something that would bring a ray of joy to the gloomy day. According to a media report, Jeremy's Hawkeye is all set to star his own standalone limited series. Avengers: Endgame - Robert Downey Jr, Chris Evans and Others Shine on These Magazine Covers But Fans are Getting Curious about the Hidden Clues - Check out Tweets. Avengers: Infinity War saw the destruction of half of the universe, including some of our beloved superheroes. The wrath of Thanos spared no one and wiped off half the universe. While Hawkeye was MIA in the first battle, he will have an important part to play in Endgame. 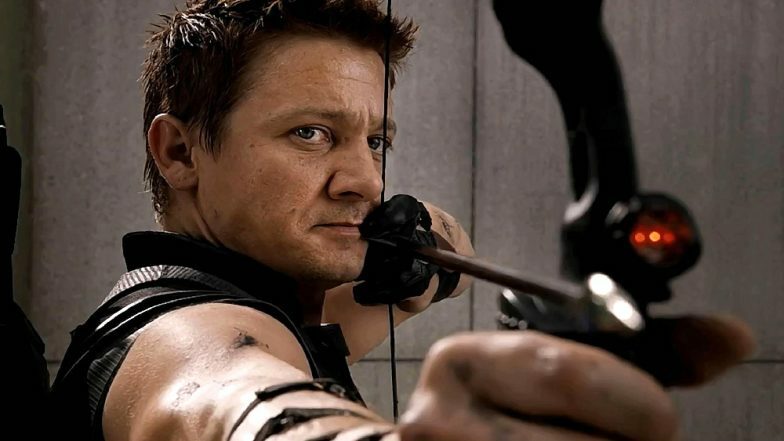 As per a report published in Variety, Hawkeye will have a limited series of his own. The adventure series will revolve around the life of Clint Barton and how he passes his legacy to this daughter, Kate Bishop. In the comic, Kate takes over the lineage of Hawkeye and also becomes a member of the group, Young Avengers. We all had a glimpse of Kate in the Avengers: Endgame trailer. Clint can be spotted teaching his daughter how to aim a bow and arrow. Marvel Streams 10 Minutes of Avengers Endgame Footage, Russo Brothers’ Film’s New Set of Spoilers Hits the Internet. Jeremy has become an important part of the Marvel movies ever since the 2011 release Thor. Avengers: Age of Ultron (2015) revealed Hawkeye’s family. Avengers: Endgame is all set to hit the theatres on April 26 and with each passing day, it becomes more difficult to contain the anticipation. Let us know how excited you are.